Tyan is taking a different approach than many other vendors for its first Intel Atom C3000 series product. It is building a product that is focused on embedded networking and firewall appliances and has a feature set to match. As this is a semi-custom platform for that market, Tyan is set to customize the below specs based on customer needs. The Tyan Tempest EX S3227 is an mITX motherbaord that can accept either standard ATX 24-pin power or DC power based on a BOM option. It also has provisions for TPM modules which are important in the target market. In terms of management, the Tyan Tempest EX S3227 does not use an AST2400 or AST2500 BMC like many other offerings. Although you lose standard BMC remote management functionality, that design has two benefits. First, it lowers power consumption significantly, especially for lower core count parts. Second, it limits a potential attack surface that is important for firewall applications. In terms of SATA there is a m.2 SSD slot along with two standard 7-pin SATA connectors. 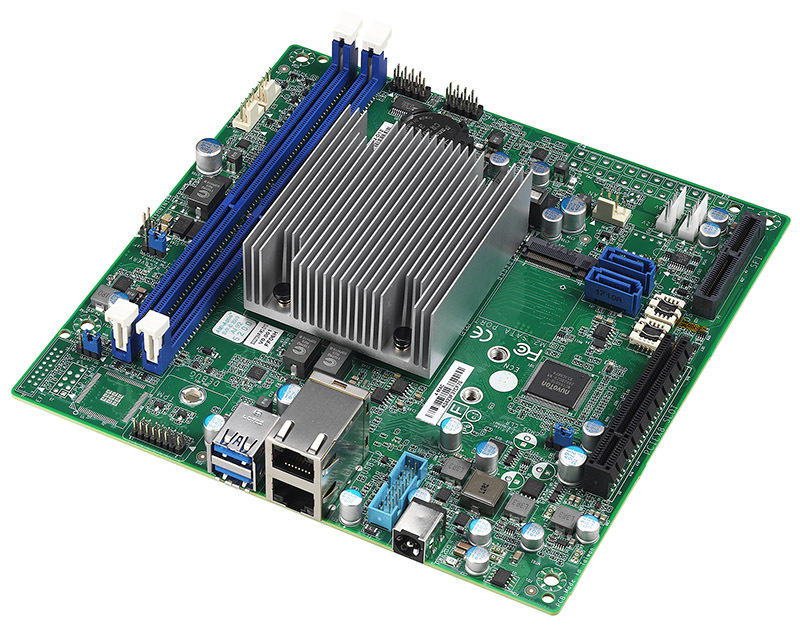 Networking is provided either by a PCIe x8 or mezzanine card with an appropriate PHY. 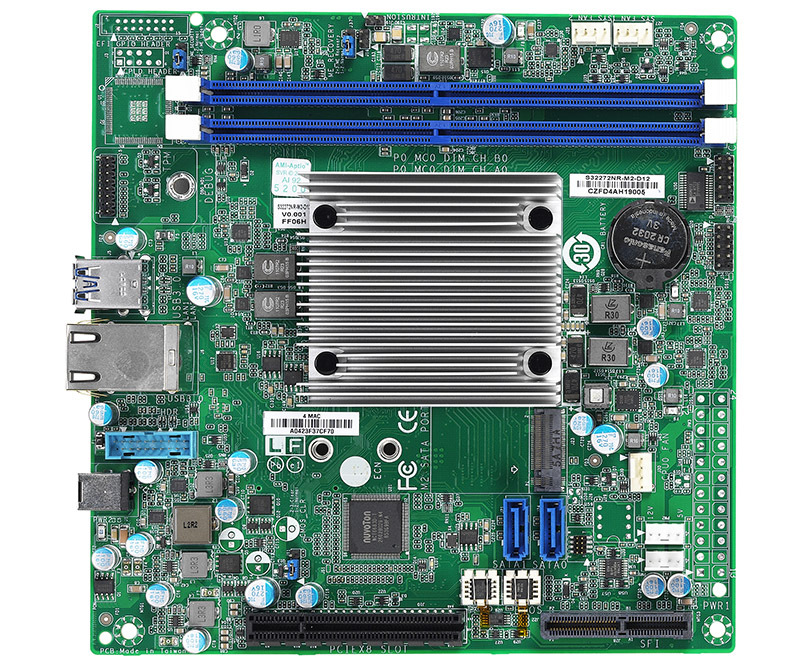 Given the board’s focus on the embedded networking appliance segment, it also utilizes only two DDR4 DIMM slots. Firewalls tend to be lower RAM usage applications than storage servers. Also, the two ECC DDR4 slots can handle up to 32GB using UDIMMs or 64GB using RDIMMs. That is plenty for the target market. In terms of CPUs, we have been told that Tyan can produce these boards with any SKU in the Intel Atom C3000 series stack. 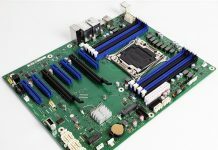 The SKU chosen may impact some features such as the ability to use the 10GbE mezzanine PHY card or DDR4 memory speeds. This is due to the Intel Atom C3000 series architecture and feature differentiation.